The docks in Seward are not totally alphabetical, so please look at the following information to find us! 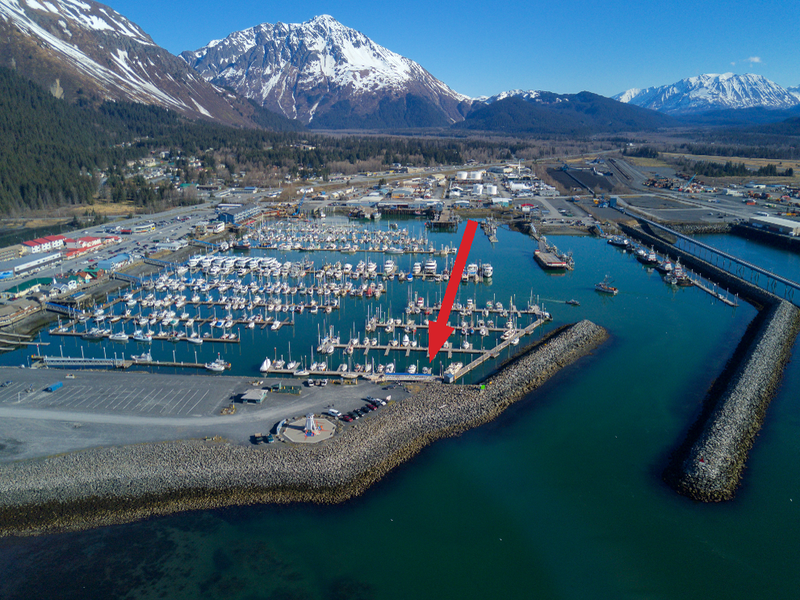 Missing Lynx and/or Lost Lynx are located in the Seward Small Boat Harbor, slip M-3, in the “uplands area” on the very south side of the harbor by the entrance to the harbor. 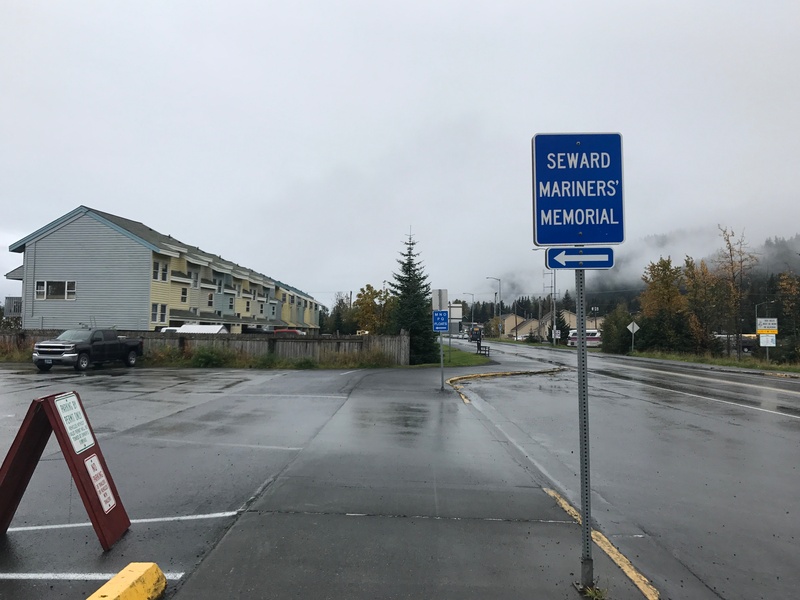 Heading from the North (Anchorage) on the Seward Highway, turn left on Port Ave., then right on 4th Ave., then turn left at the blue signs for M, N, O, and P floats and the Seward Mariner’s Memorial. Drive all the way out on the gravel parking area until you see the Seward Mariner’s Memorial. Park, and walk down the ramp to the first boat you see. 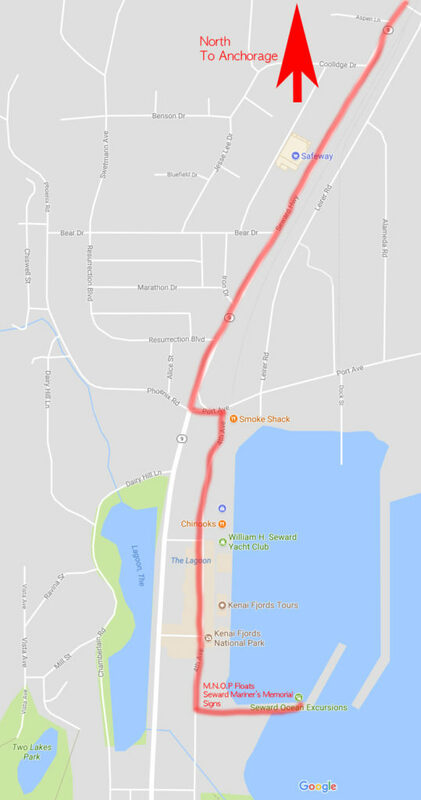 Parking is available for $10 per day in this area from the credit card kiosks (free in winter). Look for the credit card machines with the blue sign of a “P” on it about half way through the gravel parking area on your left or just after the boat launch ramp on your left. A parking map is available here. We pride ourselves in having the best slip in the harbor…we are the first boat down the ramp! If you have a lot of gear, etc., let us know; we have a dock cart available for use. If you are lost, please contact us for help finding our location. Coming from the North (Anchorage side) on 4th Ave., drive until you see these signs, then turn left and drive all the way out on the gravel parking lot until you see the Seward Mariner’s Memorial.